In recent years a new player has risen amongst the fashion city ranks, shifting the idea that only traditional centres (London, Paris, Milan, Tokyo, New York) are worth paying attention to. Seoul’s star is on the rise and the Korean labels that call it home have begun receiving much-deserved attention. Adopting a visceral approach to technology, music, art, food, fashion, and a hard to rival consumer culture in general, the Korean aesthetic we see today has proven to be more than just a niche. 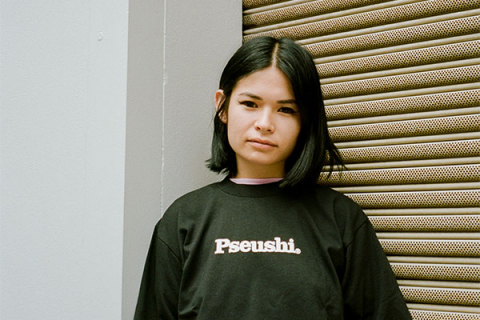 For streetwear Seoul in particular has cemented itself as a mecca akin to the heavyweight fashion capitals of the world. One look at the street style on display will reveal a blend of eccentric colour palettes, youthful designs, and a uniquely Korean meets western influence. 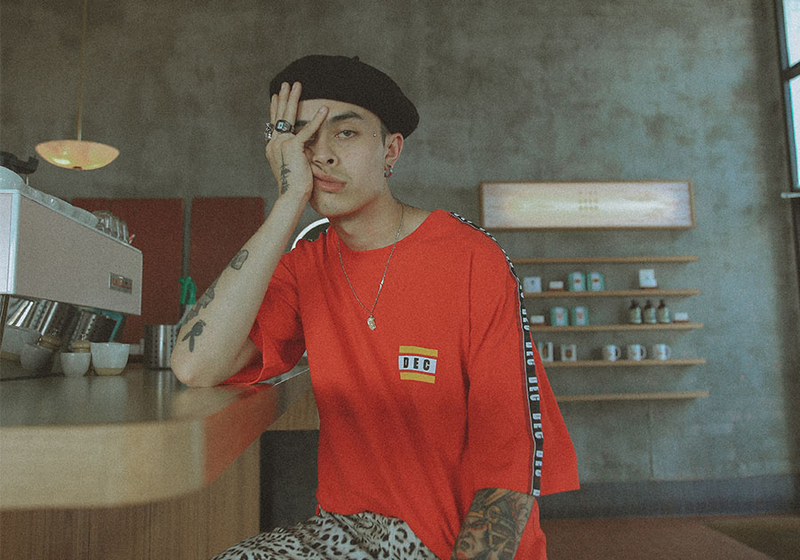 The hyper trend based churn-and-burn nature of all things pop culture in Korea has given way to an unapologetically individual wave of streetwear all of its own. With this in mind we wanted to give you a run down of all our favourite Korean labels and showcase them in the editorial below. One of the more known brands on this list, Used Future aim to refine the definition of menswear by combining effervescent youth culture with a bold aesthetic. Used Future’s whole vibe begins with vintage silhouettes being reimagined and repurposed, forming a new take on the revisionist nature of fashion. Their latest fall winter collection sees washed colours coupled with electric blues, reds, and earthy tones. Overall Used Future punctuates the best elements of youth fashion by forming their own brand of individuality. 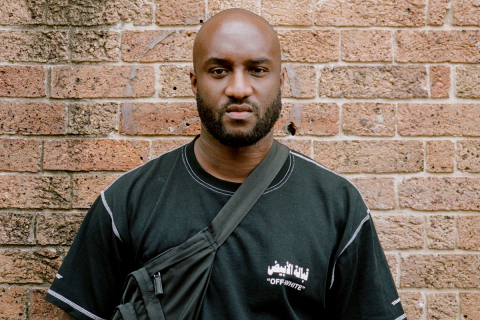 In a time where streetwear could be considered saturated, finding staying power in contemporary iterations of classic street catalogue pieces is no small feat. 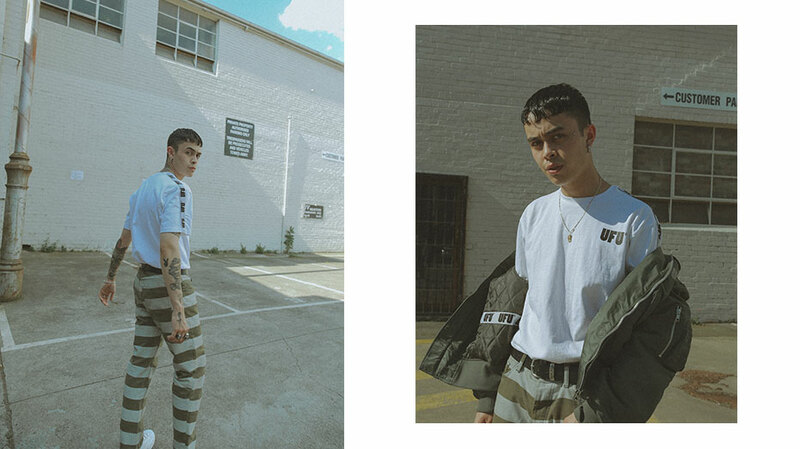 Used Future are also one of the few brands readily available to cop in Australia, stocked by our friends over at Spacebound. Breaking into the scene back in 2015, A Piece of Cake provides a new take on conventional streetwear pieces. Comparable to the sportswear influence of the ’90s rave scene, the brand consistently employs the use of a bold and vibrant colour palette. Expect to see plenty of neon, purple, hot pink, and orange peppered throughout most collections and pieces. 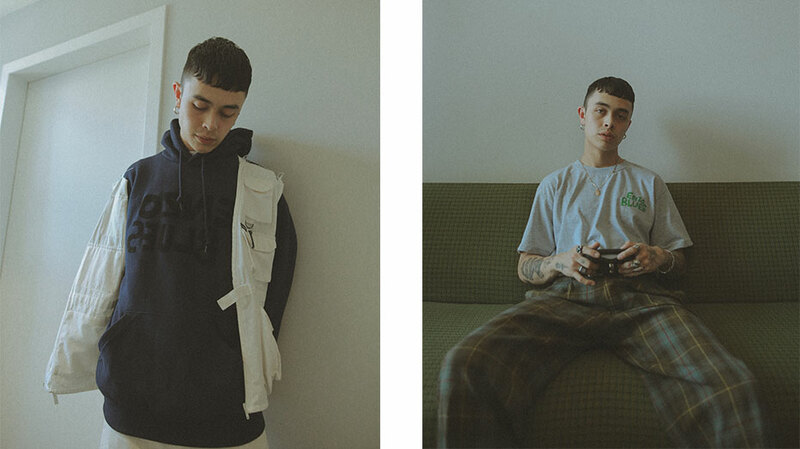 Featuring an extensive range of track pants, pullovers, tees, blousons, and socks to name only some of the closet staples, APOC uniquely reimagines various styles garnering a healthy following from streetwear heads and god like K-Pop icons alike. 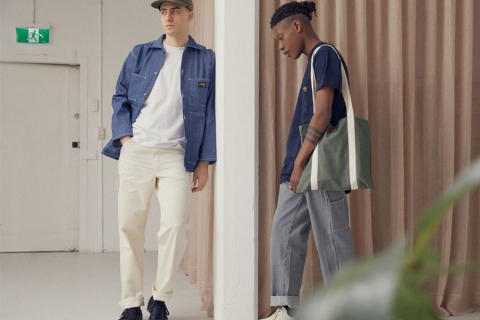 The brand more often than not, also accompanies each season with a video lookbook reinforcing their holistic approach to all areas of fashion. 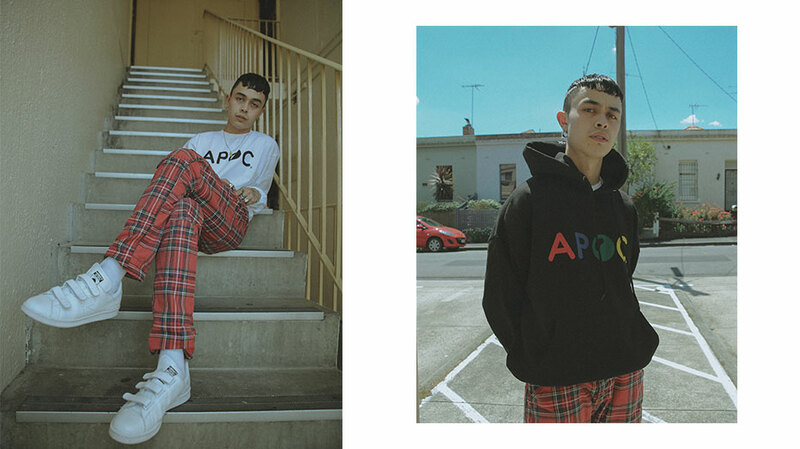 APOC ultimately exemplify the diverse and playful nature of the best South Korean style providing a much needed escape from the black, navy, white aesthetic that’s, at times, all too common. Cres. E Dim. founder Hong Bum Kim launched the brand back in 2009 and has since gone on to be name as one of Korea’s top five designers. Derived from the musical term “Crescendo E Diminuendo”, Cres meaning gradually getting louder and Dim meaning gradually getting softer, the designer based his fashion and innovative identity on this concept. Highly prevalent in his runway display Hong Bum Kim juxtaposes a high fashion vibe with more commonly known streetwear foundations. As with many Korean and Japanese styling practises as well, expect to see plenty of layering and statement colours which combine various styles into one look. Changing from season to season its hard to pinpoint an over arching common theme in his work which may in fact be his most predictable trait: unpredictability. 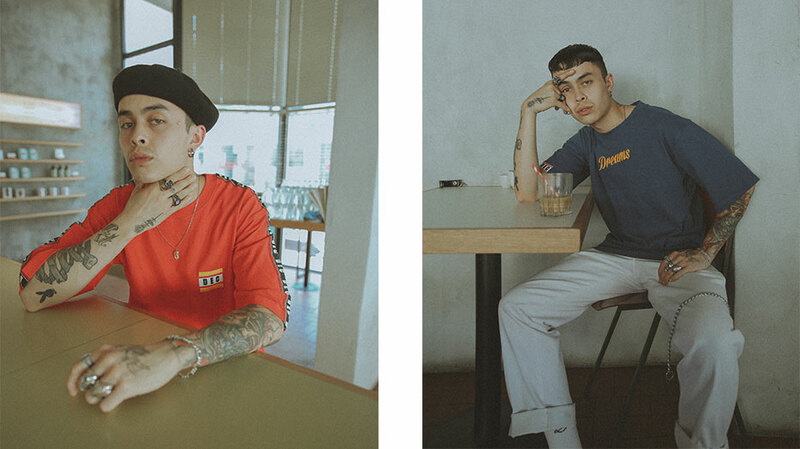 Seoul-based brand Enzo Blues couples a classic streetwear aesthetic with a contemporary preppy vibe. The calling card for their latest SS17 collection Enjoy our blues, is a mix of warm playful tones with the of-the-moment oversized style cut. Boasting a full range of hoodies, trousers, tees, button-ups, and shorts the brand champions the comfort of streetwear basics. Bold print is also seen to frequently emblazon various pieces but with a touch of humour. Owned by Seokmo Kim and Jiwon Seo, Enzo Blues ultimately highlights the vibrant colours of the changing months whilst simultaneously adopting an overall look fit for the couch or the runway. Looking like a time capsule harking back to the ’90s More Than Dope have adopted the classic era’s aesthetic and turned it on its head. High-waisted pants, oversized trench coats, neon greens, and bold prints are just some of the makeup which culminate to create an unapologetic nod to the heyday of unconventional fashion. A sportswear influence applies to various collections along with the trademark More Than Dope title font strewn across a number of pieces. Their most recent A/W 17 line featured styling akin to the dystopian Blade Runner universe, placing eclectic fashion and ill fitting garments on a pedestal. Rather than appearing as a contrived attempt to recreate a period specific aesthetic, More Than Dope have amassed a clan that celebrates non conformity and stands on its own accord.